I’ve been cooking eggplant like crazy lately, but you know what? It’s not the easiest vegetable to photograph. So today I’m rounding up some old favorites as well as some recipes from around the web that are on my to-make list before summer is over. Do you have a favorite way to cook eggplant/aubergine? My favourite way to cook aubergine is cross cut, rubbed with oil, salt and cumin and baked slowly and low for about an hour, then drizzled with a garlic yoghurt sauce and lots of seeds – deeeelish!! 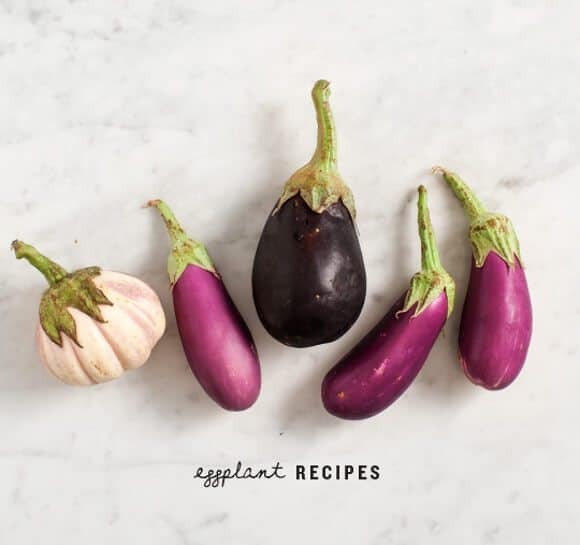 Perfect timing…I’ve been on a big eggplant kick and was in need of some new recipes! 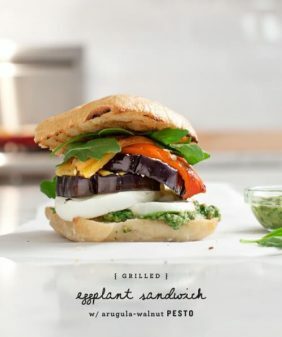 The miso broiled eggplant looks awesome! I love eggplant! Made into dips, roasted, ratatouille, any way it’s served, I’ll eat it! 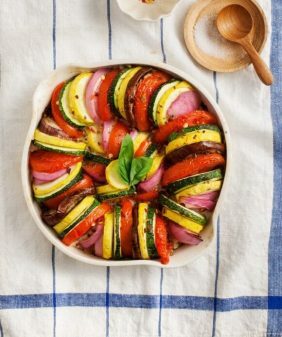 im a recent eggplant convert, so definitely pinning this..i was just reading about Debs smoky dip, looks so goood. 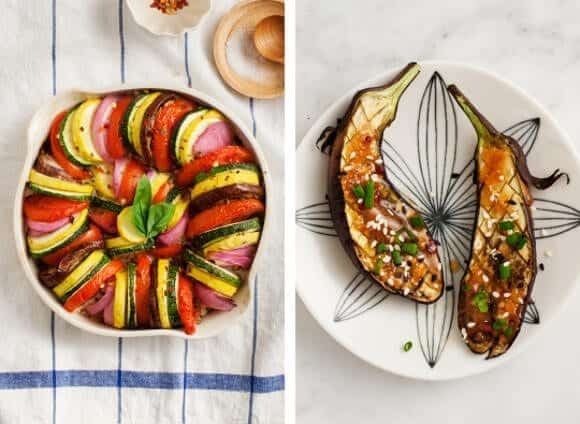 I cook with eggplant a lot as well 😀 thanks for this recipes. That tian is so beautiful! I love eggplant too- though I call it aubergine (I’m a Brit)! I have been getting LOADS of eggplant in my weekly CSA delivery. I recently discovered that it’s lovely just sliced, spread in one layer on a baking sheet, oiled and seasoned (I like garlic and thyme), and roasted at high-ish heat for 15 minutes per side. 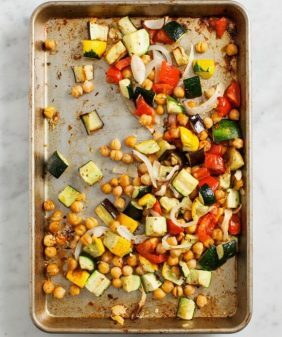 Eat the results fresh and warm, or keep them in the fridge to throw into salads or layer in sandwiches. This is one of the few times I feel forced to leave a comment. I am Greek and summer eggplants to me mean one thing: imam bayildi! Eggplants are stuffed with tomato and lots of onion and garlic, topped with crumbled feta cheese (although no google recipe I found included feta). Check it out! The sweetness of the baked onion, the meatiness and smokiness of the eggplant, the olive oil rich and acidic tomato sauce constrasted with the briny feta will definitely make you an imam bayildi addict. Ooh so excited to click through these! 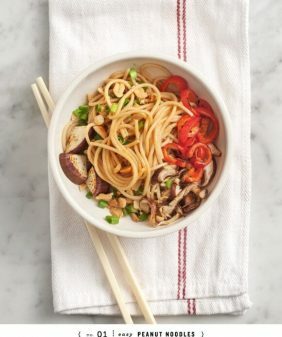 I love eggplant but always run out of ways to cook it! I love eggplants as well and agree that they aren’t easiest to photograph. 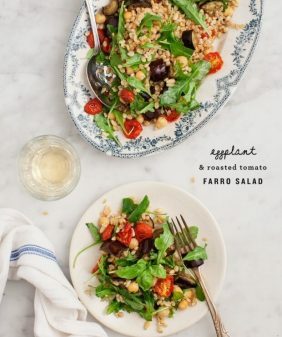 I love to roast it in the oven and make salads with tahini and yogurt based dressings. My favorite eggplant dish is called “Karniyarik” – Eggplants stuffed with ground beef. It is a middle eastern dish that is simply delicious. I LOVE eggplants! I used to loathe them as a kid because of their texture but now I think they are one of the best summer vegetables on earth! 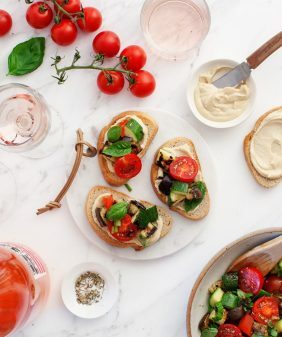 I really really like the miso dengaku recipe, but I also love baba ganoush (lebanese eggplant dip), or I simply slice some white eggplant and grill it then serve it either hot or cold in salad or with pasta (it pairs well with tomatoes/tomatoe sauce, arugula and goat cheese in my opinion!). What I like with eggplant is that it goes well with many spices and herbs : cumin, curry, basil, thyme, rosemary etc. I think it is used in so many cuisines around the world : chinese, japanese, thai, indian, north african, mediterranean, etc. On My Darling Lemon Thyme, there are recipes for eggplant curries that are amons my favourite too. I also like cooking them Indian style, either in pakoras or stuffed with garlic and ginger and then fried. Well, I guess I could never have too much eggplant! Nice recipe. This look so good and delicious. Thank you so much for the great and simple recipe.